Professor Alexis Jay, chairwoman of the inquiry, said: “For decades Ampleforth and Downside tried to avoid giving any information about child sexual abuse to police and social services. 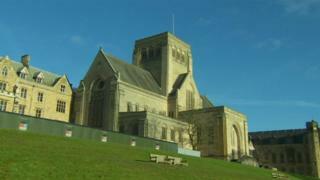 It said a “strict separation” between the governance of the school and the abbey was needed in order to safeguard pupils in future and while Ampleforth had taken steps to do just that Downside still had not. LBC radio presenter James O’Brien, who was a pupil at Ampleforth, told BBC Radio 4’s World at One the monks wielded a “secular and spiritual power” that could have played a part in the abuse being hidden for so long.